After several months when the two Buff Orpington roosters seemed to get along just fine, each with his own little harem of hens, there was a big fight the other week and now the younger of the two is Top Bird. The Welsummer rooster, one of the 'hens' I bought this year, doesn't seem to have been affected by this change in status of the other two. 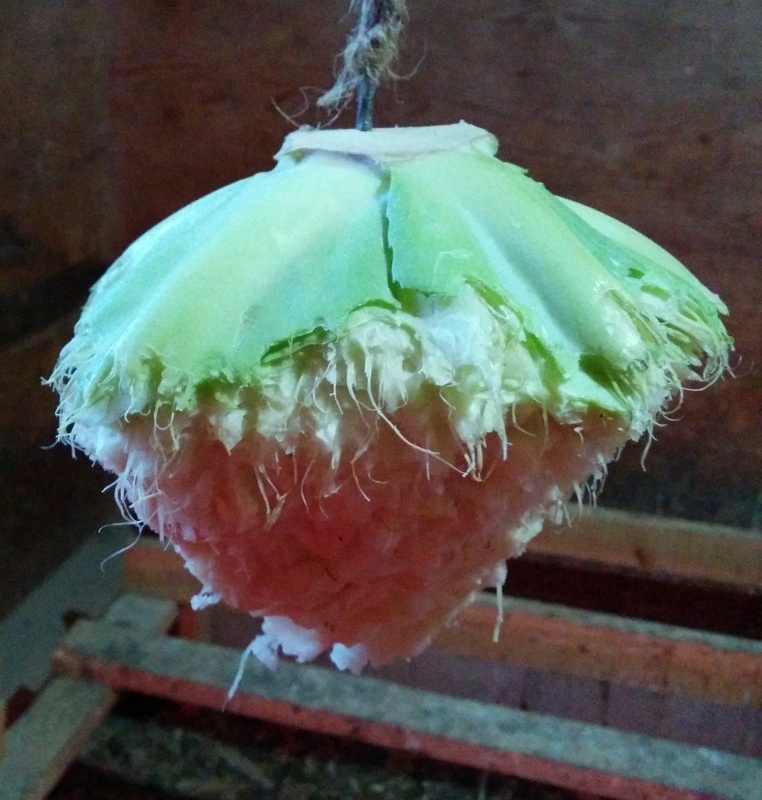 We had a few days with snow on the ground when the chickens wouldn't go out, so I tried a trick I read somewhere of hanging up a cabbage for them to peck at while they're cooped up indoors. They didn't know what to make of it until I cut a small wedge out. Then they got the idea and they seem to have enjoyed it! The Ameraucanas are happier about going out in an inch or two of snow than the Orpingtons. 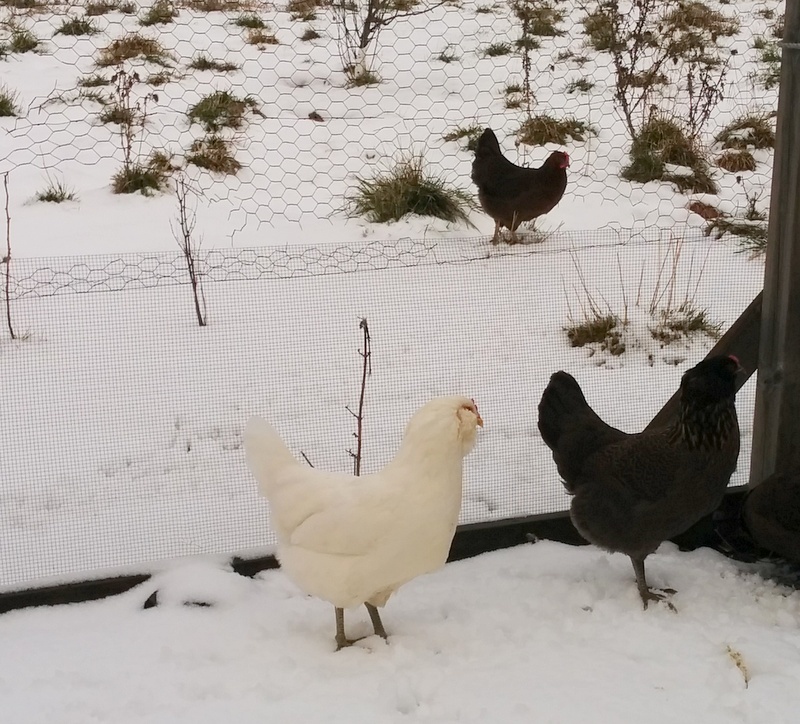 It's funny how the one white Ameraucana doesn't look particularly white when you see her against the snow. The snow has nearly all gone now, so all the chickens have been enjoying being out in the orchard over the past few days. It's supposed to get quite warm on Christmas Eve (8°C/46°F! ), but we might get snow on Christmas Day, as a storm moves through and pulls in colder air from the north. Like the chickens, I will be quite happy watching it from inside.